Welcome to the second post of day two! Were excited to share with you 4 more books! Restless and fire-hearted, ten-year-old Sierra Nevada Smith was always chasing monsters, whether through the pages of her favorite books or in the woods behind the secluded California town where she grew up. Fantastic new worlds opened for her, however, when, after a near-tragedy, she discovered the films of legendary stop-motion animator Russell Boylan. Ten years later, she finds herself working aboard a yacht, adrift at sea and in life, her peers nicknaming her the 'Monster Girl': a sad consolation for her own stunted career as a stop-motion animator in this era of computer-generated effects. 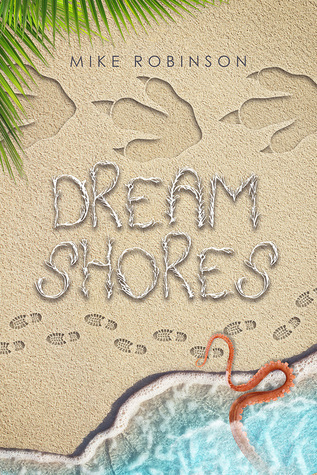 When their boat is mysteriously pulled through a corridor of fog, the crew finds themselves deposited on the shores of an extraordinary island, a place where the stomping, roaring, clambering dinosaurs and creatures of Russell Boylan's classic films have been relegated to live beyond script or screen, and to evolve. An avid writer since age 7, award-winning author Mike Robinson began selling professionally at 19, placing various speculative fiction stories in magazines, anthologies, e-zines and podcasts. He is the author of the novels Skunk Ape Semester, The Prince of Earth, The Atheist, the short story collection Too Much Dark Matter, Too Little Gray, the co-author of The Talisman Chronicles #3: Hurakan's Chalice (with Aiden James), and the non-linear trilogy The Enigma of Twilight Falls. A native of Los Angeles, he edits the magazine "Literary Landscapes," the official publication of The Greater Los Angeles Writers Society (GLAWS). He is also a screenwriter and producer. His official website can be found at www.mikerobinson-author.com. This one had a slow start and even after it picked up I just couldn't get into it. I love monster movies and I die hard love stop action. But this one for the most part the monsters felt more silly vs. scary. I did like how the story played out and why the characters and monsters were there. I do think that parts of the book were over descriptive and I felt it made the story drag just a bit. This one delivers a few twists a little action and will def. make you dream about some off the wall things! Lovers of the show Lost, Stop Motion, and anything Monsters should pick this one up!